For the April Sustainability blog we hear from Environmental Sustainability Manager of the Sydney Opera House, Emma Bombonato. The Opera House has recently achieved Carbon Neutrality and Emma has some fantastic things to say about achieving this incredible goal and how important it is, as an Australian cultural icon, to be a sustainability leader. Sustainability is built into the Opera House’s DNA. In the 1960’s, architect Jørn Utzon incorporated sustainable design into the fabric of the building, from self-cleaning ceramic tiles on the sails of the Opera House to a pioneering seawater cooling system which uses seawater for passive cooling. We aim to honour this legacy, as the symbol of modern Australia we have a great opportunity – and responsibility – to lead by example in championing environmental and social sustainability. On a practical level, the Opera House is one of the world’s busiest performing arts centres so it’s essential we look at innovative ways to reduce our environmental impact across the building itself and our events. Over the past 10 years the Opera House has worked hard to reduce its environmental impact by embedding sustainable thinking into everything it does, from waste management and energy efficiency projects to the programming on our stages. 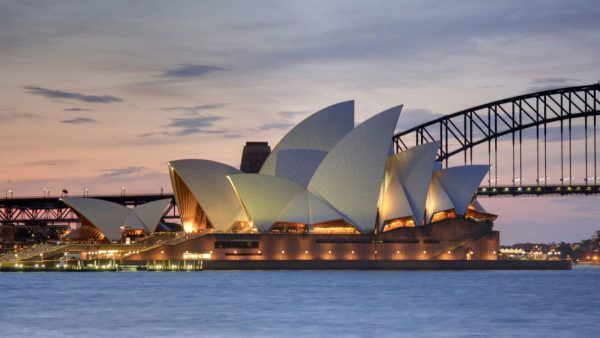 For example, in August this year, all six of the Opera House’s bars and restaurants became plastic straw free, saving more than 2 million plastic straws entering landfill or the environment annually. The year-round Access Program offers accessible performances, workshops and experiences from audio described and captioned performances to shows catering for patrons with profound and multiple disabilities. This year accessibility building upgrades were completed in the Joan Sutherland Theatre including a new passageway and lift, allowing patrons with limited mobility to visit the northern foyers for the first time, preparations are underway to improve accessibility in the Concert Hall in 2020. The Opera House was the first arts institution in Australia to establish a Reconciliation Action Plan in 2011 and has since spearheaded a number of initiatives including the annual Dance Rites competition, nightly sails lighting Badu Gili and a successful traineeship program. As the Environmental Sustainability manager here at the Opera House I’m motivated by the ability to lead and inspire positive change at both a personal and organisational level. Each day my team is able to make a genuine difference by raising awareness and inspiring the millions of people who visit and connect with the Opera House each year. Cultural institutions play an important role in raising awareness by sharing stories through art and culture. The Arts captures the hearts and minds of patrons, acting as a vehicle to communicate important stories around diversity, accessibility, First Nations culture and the environment. The most important thing audiences and members of smaller independent art organisations can do is recognise that we must work together to contribute to a sustainable future. As a mum of two young children I want to ensure we motivate our younger generation through effective leadership, awareness and education to work together towards a greener future. Every decision we make is an opportunity to think about our impact, to make good choices and to set a good example. It’s important not to underestimate the power of positive influence through strong and effective leadership. Inspiring change is just as important at an individual level as it is as an organisational level and it’s our collective efforts that truly makes a difference. *Find more information on the projects that helped the Opera House achieve carbon neutral certification here.